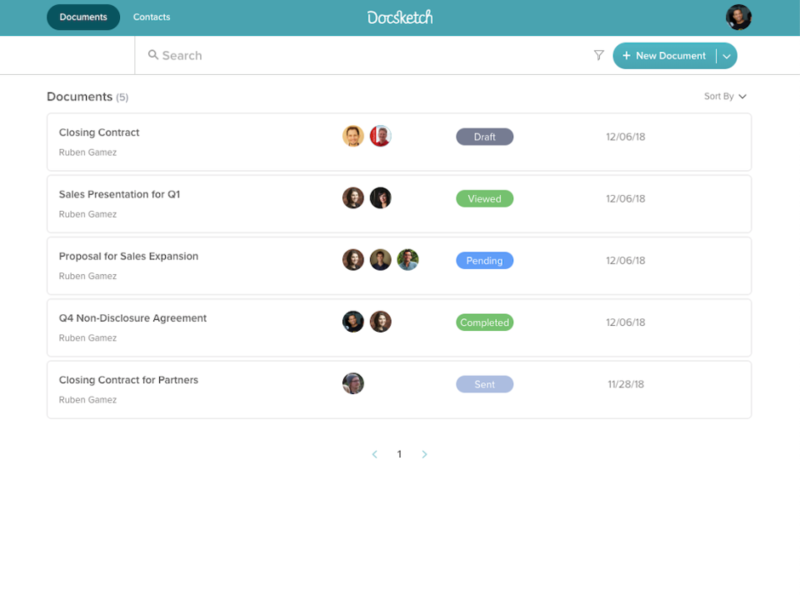 Docsketch is an exceptional application because it allows users to know exactly when the sales documents have been viewed by the recipients. 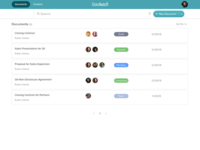 It has the ability to share and track presentations, statements of work, and other read-only documents. Fillable documents like contracts and proposals will also automatically have this level of tracking. 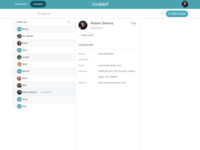 Docsketch makes the signing, tracking and approving of documents extremely easy. Pros: Finally one that get rid of the paper, or at least what we hope to. 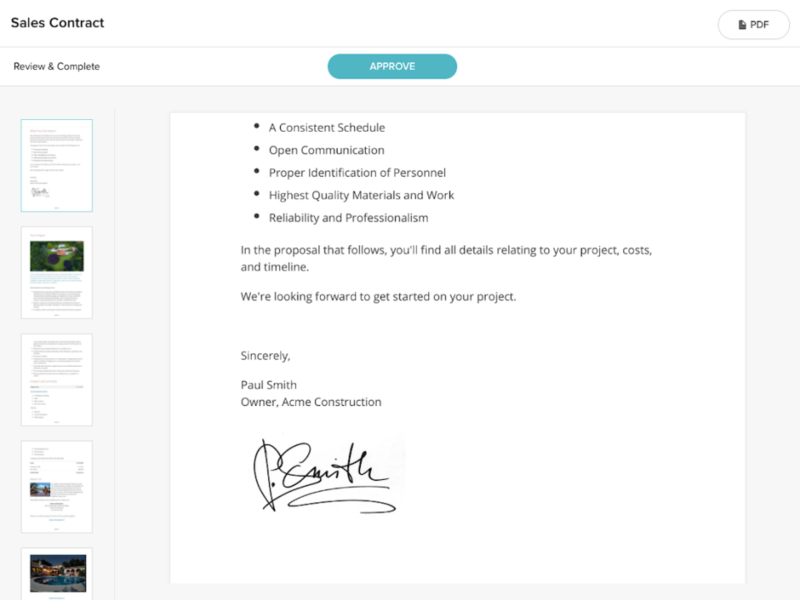 Quotations, proposals, contracts are done on the go, sending them tracked link to their email. Developer seem very responsive also, having implemented some newly suggested feature eg, restore docs. Cons: Feedback from our on-the-ground sales team. The process is kinda lengthened (currently have to send to their email) when they will want the client to sign on the spot. Lacking In-person signing feature. 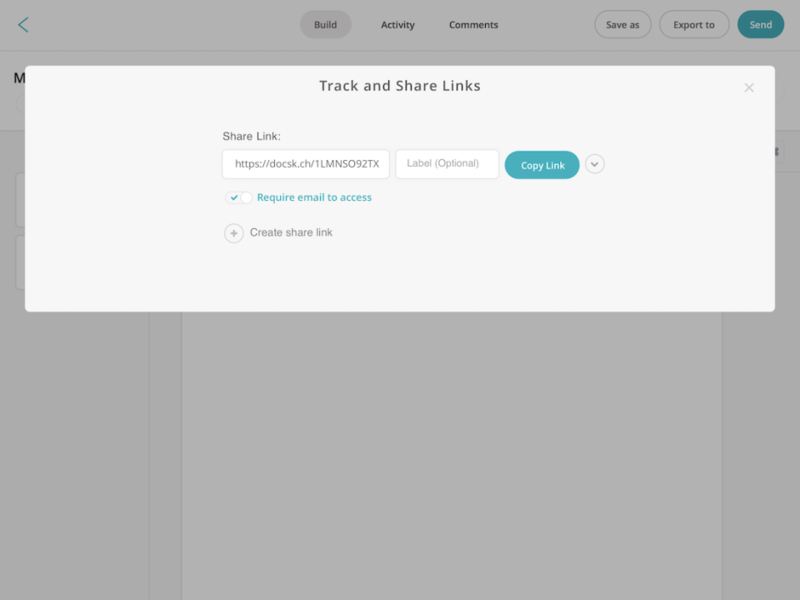 Pros: The ability to quickly import and setup documents to be used on the platform. 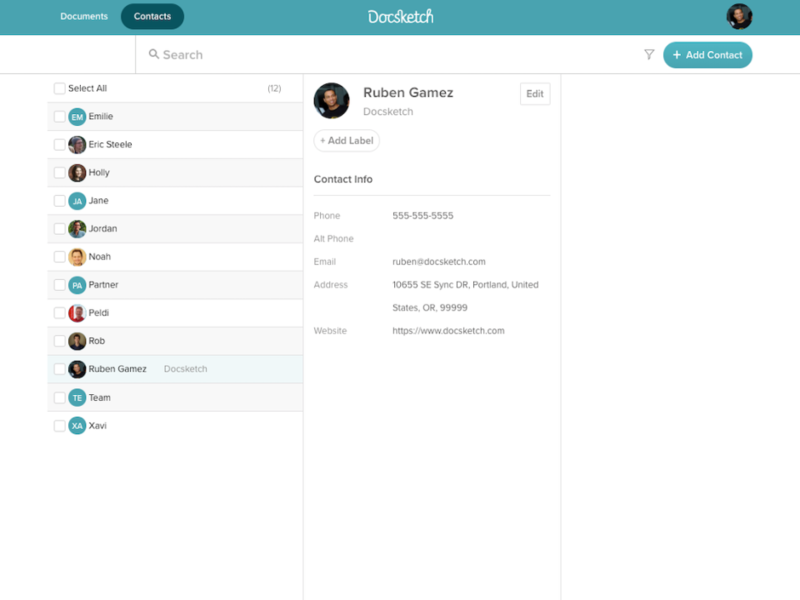 Cons: The interface needs a bit of polishing, as working with it to set up forms can be a bit clunky. 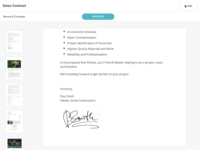 Overall: Overall, an efficient solution to our e-signature needs for any of our basic contracts/forms. Pros: The software is everything you need. By using a third party for signing documents, it legitimizes your documents. Very easy to use. Cons: I haven't found any yet, but I will let you know.